If battle ropes and TRX bands seem more like torture devices than exercise equipment, head to SANDBOX FITNESS. 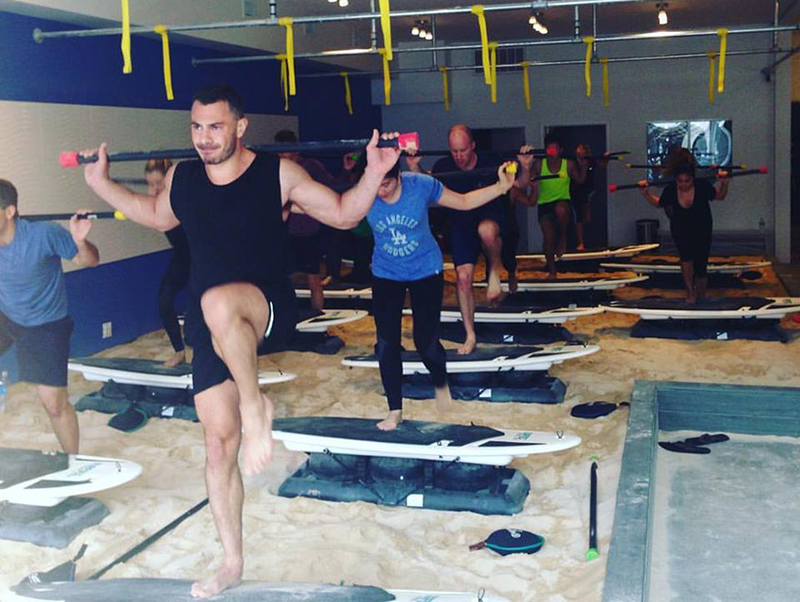 David and Minna Herskowitz have swapped out rubber floors and free weights for sand and surf- boards at their Sherman Oaks studio, which offers the as-seen-on Shark Tank workout called Surfset. The 45-minute class merges cardio, core work, and strength training (riders balance atop an unstable board in a sandbox). A bonus? It feels like a carnival game. Each visit costs $22, but get this, bro: The first ride is free.